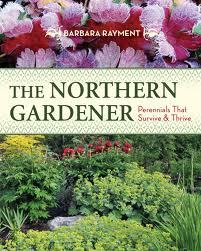 Gardeners can finally enjoy the flowers of their labour thanks to the experience and expertise outlined in The Northern Gardener: Perennials That Survive and Thrive by master horticulturist, Barbara Rayment. This comprehensive book offers tips to foster plants' success and is filled with colour photographs that identify hundreds of perennials. While there are plenty of gardening books that offer suggestions for more southerly climes, The Northern Gardener identifies and helps to boost the plants growing in the zones typically classified as 2 to 4. However, Rayment moves beyond zone ratings since they’re really best utilized only as guidelines for perennials. Rayment has literally done all the groundwork—figuring out what grows and what doesn’t. She offers pragmatic advice on topics like watering, soil and beneficial insects and even addresses many of the common frustrations associated with cold-climate gardening. The trick for turning that brown thumb green is planting the right perennial in the right place. Resilient gardeners will soon discover that given the right location and conditions, plants will thrive! Rayment has tried and tested over 3,900 varieties and has first-hand insights to the winning formula for success. Even if you believe you’re unable to grow anything, Rayment offers the perfect solutions for stubborn soil conditions or what may appear to be barren soil. Whether you’ve got a natural aptitude for cultivating perennials or you are just beginning to assemble the garden you’ve been dreaming about, The Northern Gardener will get things growing! Barbara Rayment has lived and gardened from one coast to the other and now lives in Prince George, BC, where she runs Birch Creek Nursery. A passion for experimentation, along with long winters devoted to reading and research, has placed Barbara at the forefront of contemporary northern gardening experts. Originally from the Shuswap, photographer Darwin Paton moved to Prince George, BC, in 1983. He is also a conservationist, outdoorsman and alpine hiker. He has participated in numerous group exhibits and solo exhibitions.